It’s time to clear up how we think about the gender pay gap and what it can tell us about the current and future economic security of women, writes Curtin University, Bankwest Curtin Economics Centre associate professor Rebecca Cassells, in this article which first appeared in The Conversation. Whenever the gender pay gap is mentioned there are always those who argue it doesn’t exist, either because of differences in the way men and women work, choices women make or legislation prohibiting it. Whatever the reason, this confused rhetoric stems from a couple of sources. The first is the belief that the gender pay gap is a synonym for direct discrimination. And the second is a more general misunderstanding around what the gender pay gap can tell us about overall inequality in the Australian labour market. It’s time to clear up how we think about the gender pay gap and what it can tell us about the current and future economic security of women and the lost opportunity in human capital investment and potential. The gender pay gap is the difference between men and women’s pay. It can be measured a number of ways, but a common metric is the difference between the average wages of men and women working full-time. This is a useful metric as it accounts (to some extent) for differences in the number of hours men and women work each week and provides a good basis for changes to be monitored over time. Over the last few decades Australia has seen a considerable increase in women’s labour force participation, levels of education, greater support to working families through child care, paid parental leave and flexible working arrangements. Key pieces of legislation have also been introduced in order to combat workplace inequalities. However, across that same period, the full-time gender pay gap has barely shifted. The full-time gender pay gap currently stands at 16.2 per cent, on par with the long-term average over the past twenty years. Women working full-time currently earn, on average, 84 per cent of a man’s pay. When there is a structural shift in the labour market, where women are as likely to hold higher paying jobs as men and women’s work is valued as highly, and other biases are eliminated, the full-time gender pay gap will decrease considerably and permanently. This is in contrast to the cyclical movements we can see in headline indicators at the moment. Because of the highly segregated workforce, gender pay gaps tend to increase when the economy is booming and contract during economic downturns. The Australian labour market is highly segregated, meaning some of the overall gender pay gap is driven by the differences in the way men and women work. Men tend to dominate industries that have higher pay such as mining and construction and women dominate health care and education. Let’s take three examples – the male dominated mining industry, female dominated health care industry and the mixed retail trade sector. Mining has an overall gender pay gap of 18 per cent, but digging down into occupations within that industry, there is considerable variation. Among machinery operators and drivers, the gender pay gap is 7 per cent in the mining sector, but increases to 17 per cent when comparing top-tier managers. The female dominated health care and social assistance sector also has an overall gender pay gap of 18 per cent and again variation exists when examining occupations within the industry. Lower occupation levels tend to have smaller gender pay gaps – but as the level of seniority increases, so does the pay gap. It reaches 25 per cent for key management personnel in the health care sector. This is especially the case for the retail trade sector, where workers’ pay and conditions for lower occupation levels are guided heavily by awards and agreements. However, as seniority increases and pay becomes more discretionary, so does the gender pay gap. Experience and education will also influence how much pay one receives and it will also explain some of the gender pay gap. There are high hopes for younger generations that the gender pay gap will disappear. Younger age groups do face a lower gender pay gap than older age groups, however, this has not changed substantially in the ten years between 2003 and 2013. In fact women in their twenties working full-time in 2003 could expect to take home around 8 per cent less in weekly wages than their male counterparts. By 2013, this had increased to just over 15 per cent. The important point is that gender pay gaps are real and haven’t really made any huge ground over time. Some of the gap can be explained by differences in how men and women work, their education and experience. If we can explain these differences, then this is really useful because we can then address it. But, numerous studies show that once we do account for all the possible drivers of the gender pay gap we are left with a large portion we just can’t explain. Which gender pay gap should we really be interested in? There is no single answer to this question – it depends on the objective. Headline indicators across the workforce are useful because they illustrate the lack of structural change in the labour market that is needed to bring men and women’s average wages on par. To understand and address the gender pay gap for the next generation of workers in the labour market, we will need a different lens to those we use for understanding the gender pay gap for top tier managers. The important point is that there are a number of ways to look at the gender pay gap and its drivers. Each has its place and more importantly, each can inform the policies and initiatives needed to eliminate it. 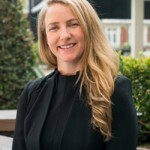 About the author: Rebecca Cassells is principal research fellow with the Bankwest Curtin Economics Centre and oversees the Centre’s Research Impact and Engagement Strategy, Focus on the States and Gender Equity research series. Prior to her role at BCEC, Cassells worked as an independent consultant, working with state and federal government departments on a number of major economic evaluations. She previously spent many years with the National Centre for Social and Economic Modelling (NATSEM), where she led the Women, Children and Families team and managed the AMP.NATSEM Income and Wealth Series.